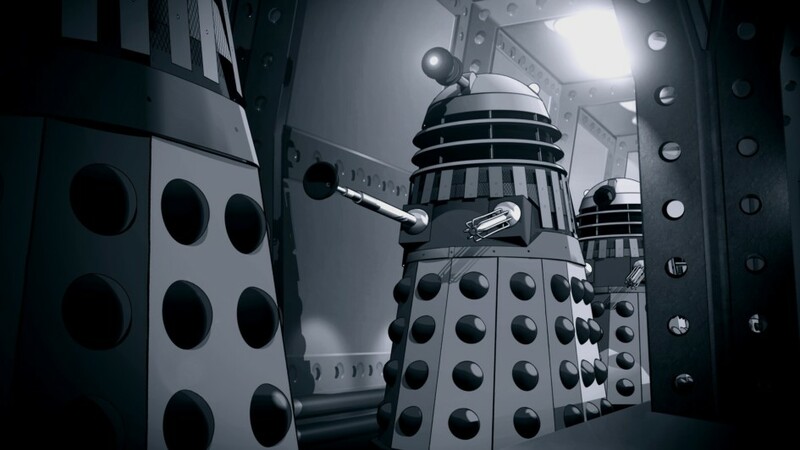 Watching the animated reconstruction of Patrick Troughton’s first story, The Power of the Daleks, in the cinema. Actually, I also enjoyed just focusing on the audio and trying to hear it in the living room where it was first broadcast and saved 50 years ago. The story itself was silly but menacing nonetheless, with sneaky Daleks ready to lure credulous humans into with extravagant promises of 100% reliable weather forecasts. And then killing almost all of them. Introducing James to Four Lions. I do love that film. Lunching with Luis while keeping an eye on two football matches (real football!) and pooling our limited knowledge about the political situation in France. It would really be a good idea to keep an eye on France. Beth Dubowe-Lawrence, Abigail Osbiston, Peter John Boss liked this post. I do! And thanks Kristina!